My Politics Are Based On Chicken & Dumplings. Yours? I started making chicken stock a couple of days ago. You know, there is food about to rot in the fridge and “something must be done.” So I decided to boil it, knowing I have options. Today when I pulled it from the fridge, I sampled. Of course. I was transported back in time to my grandmother’s kitchen where she would cook me whatever I wanted. She always wanted me to be happy. Ah, the joy of Grandmas, everywhere. 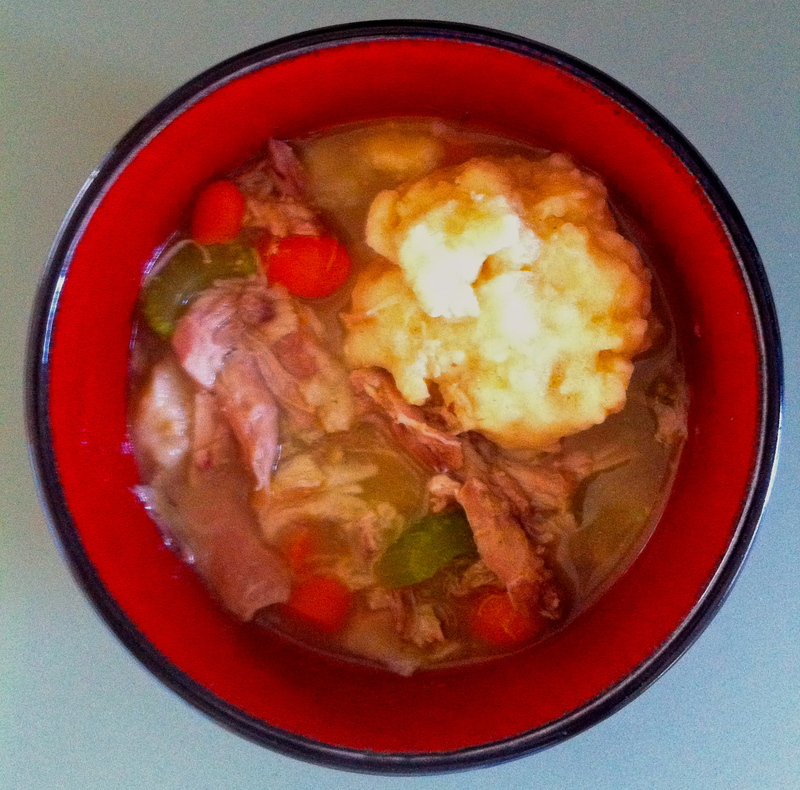 Often, my request was for Chicken and Dumplings. As I began the process of making dumplings for lunch, I contrasted my Grandma’s politics–strictly Democrat, with those of my step-father, Rand-Libertarian. The two of them never got along. Both of them voted religiously in the general elections. Not so sure about the primaries. Hmm. Sounds familiar today, doesn’t it? While I’m not a Democrat like my Grandma (but please don’t tell her…), I’m also not a Republican, Rand-Libertarian or any other party. But I do believe in knowing what we want our government to do…and not do for us. This is the “big conversation” we are in the middle of today. So when I say my politics is based on Chicken & Dumplings, I’m mean I know what I want government to do for me…for us. And I’m in the conversation. That’s my five minutes for today…what about you? Mix all together, varying amounts of flour and water until consistency is very dry and won’t stick to your hands. Drop by teaspoons or tablespoons into soup broth, insuring they have enough room to “surface.” Boil for 5-7 minutes, turning as needed for the outside to cook. Outside will be soft and mushy. Inside should be like soft-bread when cooked properly. I’ve eaten many that were under and over cooked and still find it to be a great comfort food. Enjoy!